Coal India (CIL) inserted the pump into the old shaft and connection of pipes is still intact. The pump is expected to be functional by tomorrow. The pumping of water from the main shaft is also expected by January 5. 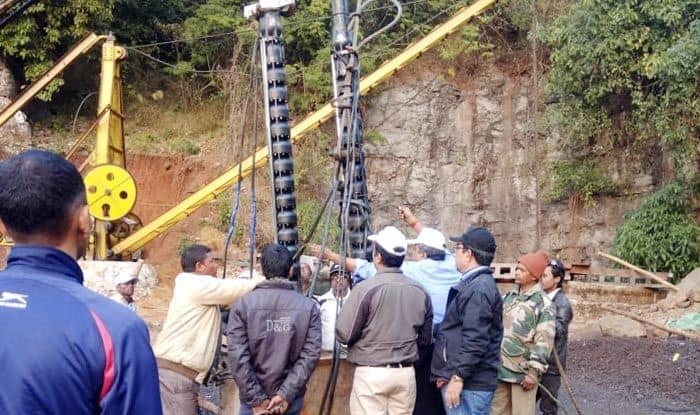 Shillong: Efforts to rescue the 15 trapped miners in the rat hole cave in Meghalaya’s East Jaintia Hills have borne little result even after 23 days. The Odisha Fire Service on Friday pumped out water from the old shaft and thereafter the water receded by 3.5 feet. The Coal India (CIL) inserted the pump into the old shaft and connection of pipes are still intact. The pump is expected to be functional by tomorrow. The pumping of water from the main shaft is also expected by January 5. Most of the pumps brought in to draw the water out is yet to be installed, officials said. Operation spokesperson R Susngi confirmed that only three out of the 13 high-powered pumps that were brought to the site could be installed and used so far. Preparations to install another three pumps are underway. “More pumps will be used in the adjacent shafts and we hope that the pumps from Coal India and Kirloskar Brothers are ready at the earliest so that they can also supplement the dewatering process,” said Susngi. The National Disaster Response Force (NRDF) jointly coordinate with all their resources available and manpower to assist other agencies. Earlier today, the Supreme Court asked the Centre and the Meghalaya government to file a status report before it by January 7, on steps and progress of the rescue operation of the 15 miners who are trapped in the illegal flooded coal mine since December 13 last year. With the rescue operation entering the 23rd day, efforts to pump out water from the main shaft, where the miners were stuck, and in the nearby abandoned mines have not made any visible impact. Divers from the Navy and the National Disaster Response Force want the water level at the main shaft to go down from the current 160 feet to about 100 feet in order to resume rescue operation, an official of the diving operations team said.